The first PHOWN records have been added for two weaver species this week! 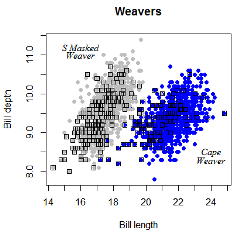 Also a new paper about weaver idenification in the hand in the Western Cape has been uploaded. See more weaver identification papers here.